Share More, Learn More, Do More! 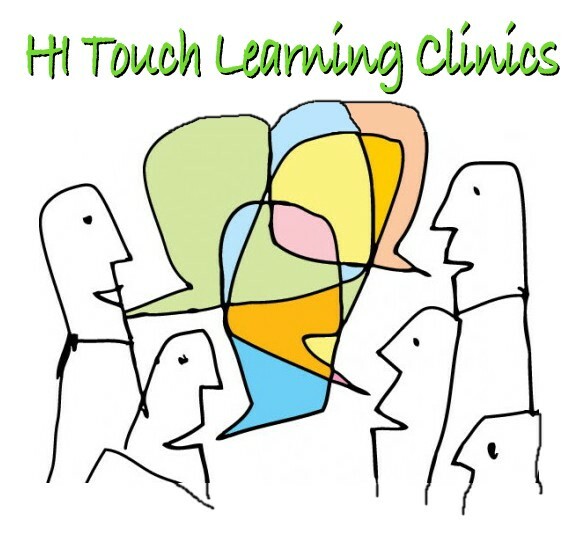 The HI Touch Meetup is an all day or half day program featuring workshops, guests, presentations and more within an open forum format that encourages sharing and discussion. HI Touch Meetups are FREE and open to guests. HI Touch Meetups usually run from 9:00 a.m. to 3:00 p.m. on the first Saturday of the month. Check the Events Calendar for specific dates. All dates and topics are subject to change. February 6 – Nuuanu Baptist Church – 9:00 to 3:00 p.m.
March 5 – Nuuanu Baptist Church – 9:00 to 3:00 p.m.
April 2 – Monkey Business – Nuuanu Baptist Church – 9:00 to 3:00 p.m.
May 7 – Monkey Business – Nuuanu Baptist Church – 9:00 to 3:00 p.m.
June 5 – Monkey Business – Nuuanu Baptist Church – 9:00 to 3:00 p.m.
February 14 – Love Connections – Nuuanu Baptist Church – 9:00 to 3:00 p.m.
March 7 – Fundamentals – Nuuanu Baptist Church – 9:00 to 3:00 p.m.
April 4 – Building the InterWebs and Genealogy – Nuuanu Baptist Church – 9:00 to 3:00 p.m.
May 2 – Delivering the Message Open Talk Panel Discussion at Springfest 2015 – Nuuanu Baptist Church – 9:00 to 3:00 p.m.
August 8 – Telling Stories with Photos – Nuuanu Baptist Church – 9:00 to 3:00 p.m.
August 22 – Cyber Safety Symposium – Arcadia Retirement Community 9:00 to 11:30 a.m.
October 24 – The Prints and the Paper, A printing party – Nuuanu Baptist Church – 9:00 to 3:00 p.m.
April 12 – iOS Tap Party Luau – Alii Room, Capital One 360 Cafe – 8:30 to 3:30 p.m.
June 7 – The Intelligent Eye – Alii Room, Capital One 360 Cafe – 9:00 to 3:30 p.m.
July 12 – Open Hard Drive Surgery by Doc Rock – Alii Room, Capital One 360 Cafe – 12:15 to 3:30 p.m.
August 2 – Controlling the Light – ZenWorx, 685 Auahi St – 9:00 to 3:00 p.m.
September 13 – Email Nuts and Bolts – ZenWorx, 685 Auahi St – 9:00 to 3:00 p.m.
October 4 – Collaborate, Create, Communicate – ZenWorx, 685 Auahi St – 9:00 to 3:00 p.m.
For additional information contact Eugene Villaluz by sending an email to Member Support located on the Contact Us page.